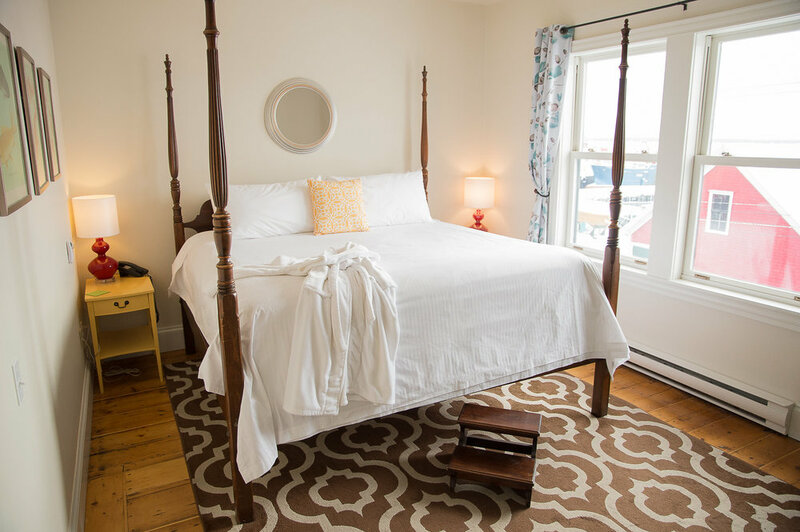 ENJOY Delicious Local food, BELOW OUR QUAINT SEASIDE INN... with love FROM Lunenburg. World class views. Cozy Rooms. Seriously good food. 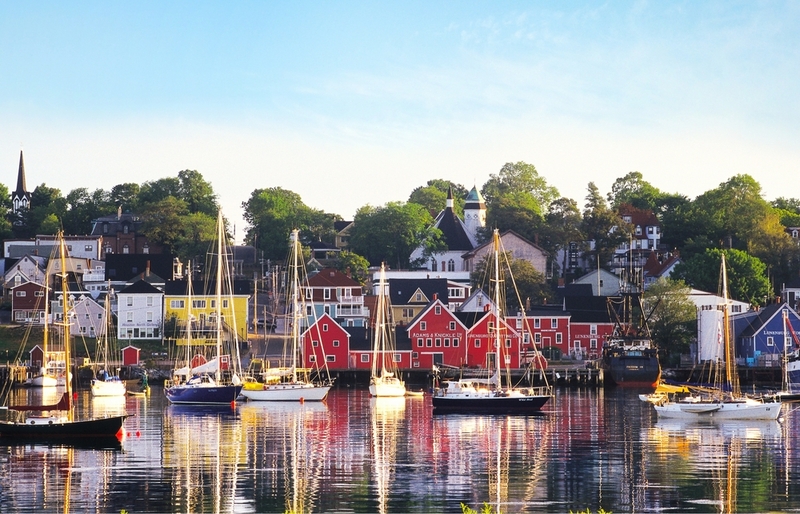 With spectacular views of Lunenburg Harbour and a carefully crafted menu to please a variety of tastes, the Salt Shaker Deli and Inn is a must stop on your next trip to Nova Scotia’s South Shore. Our menu, created by award-winning chef, Martin Ruiz Salvador, pays special attention to showcasing our region’s fresh seafood, locally-grown produce and artisanal products. The Salt Shaker’s customer favourites include our smoked seafood chowder, fishcakes and our hand-rolled thin crust pizzas. In addition to our delicious menu we also offer a range of local wines and craft beers on tap. 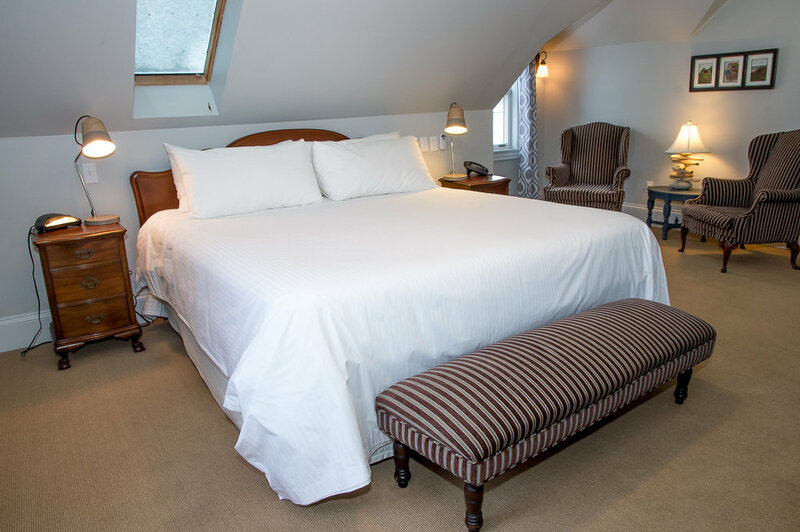 Our 4 room inn nestled right above the restaurant gives customers an extra reason to experience the Salt Shaker. 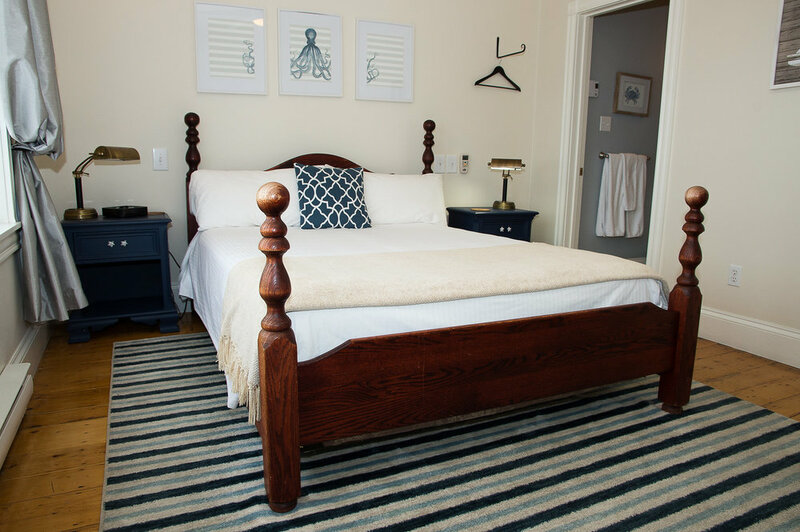 Fresh and cozy spaces with everything you need to make your South Shore stay a memorable one. Enter through the restaurant to pick up your key and head upstairs for a unique seaside stay. Come on in, have a seat and leave the rest to us. We look forward to seeing you soon. Stay for the night, stay for a while. Check in is done at the Salt Shaker Deli located below the inn at 124 Montague Street. Book here to Guarantee the best pricing! If you have any questions or comments about your experience get in touch with us by completing the form below. We'd love to hear from you! Please note we do not accept reservations at the deli. Thank you! We will return your message as soon as we can.